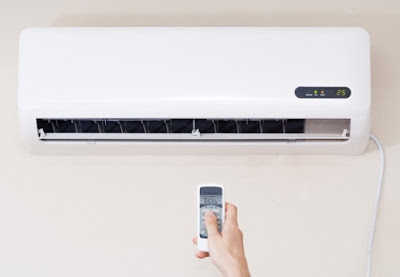 Air conditioners are an integral part of any home or office cooling system. Ac’s lower the temperature of air thus making it cool and comfortable during summers. Typically cooling happens through a refrigeration cycle but sometimes evaporation method is also used. Whether it is a simple room air conditioner, wall mounted split ac’s or fully ducted refrigerated system, options are many. The choice has to be made depending upon the climate of the city, the design and type of house. In countries where summers are very harsh people prefer refrigerated air conditioners. In the refrigeration system the heat is transported from a colder spot to hotter location in the room. To circulate, the refrigerant vapor compressor is used which compresses the hot air and then the condensation happen via condenser. In other words they act like a refrigerator for the house. How Does a Refrigerated Air Conditioning System Work? 1. These cooling units contain indoor and outdoor coils which are connected with pipes to carry the refrigerant gas. 2. The warm indoor air is drawn over the internal coil, where heat from the air is absorbed by the refrigerating gas and is carried to the outdoor coil. 3. The heat is then dispensed out and the cool air is blown back into the room. 4. In the process they dehumidify the air when it passes over the cold internal coil; moisture from the warm indoor condenses and is drained. 5. Many units also have filters in place where the cool air is filtered before being blown back into the room. What are the two Types of Refrigerated Air Conditioning? 1. Ducted refrigerated air conditioning – They provide effective climate control. Heat is distributed during the winters and cool air is circulated during the summers. This system covers the whole house or any commercial building via ducts attached to single or multiple outdoor units depending on the load. They are less noisy and can be installed easily. 2. Wall hung refrigerated air conditioning - They can cover only a single room. 2. They are very efficient in terms of usage of electricity units. For every unit of electricity they use, they can provide 1.5 to 3 units of cooling. 3. These are effective for households where anyone is suffering from allergies. To ensure energy efficiency and maximum comfort, zoning control can also be installed on refrigerated air conditioning. With zone control different temperatures can be set for each room of your home or office. Cooling of unused rooms can be switched off, hence cost saving on your electricity bill. In case of room full of guests or kitchen during dinner time may require low temperature setting, all this can be achieved with zone control. 1. Humidity levels must be maintained in all parts of the building. 2. Identify location to place the main unit so that it is not noisy and inconvenience for others. Ideally they should be placed on ground rather than on roofs. 3. The product should be versatile with effective temperature control to cool and heat depending on weather conditions. 4. In built filtering system to distribute clean air in the complex. Professional help is also available in order to ensure that you have chosen a right system for your home or building. They can effectively assess your cooling requirements so as to make sure that the system is neither undersized nor oversized. There are also several online portals, from where you can get the best varieties of refrigerated air conditioning systems. Moreover, you can visit here to know more details about the Refrigerated Air Conditioners.